91 points from the Wine Spectator and one of the Wine Spectator's Top 100 Wines of 2007: "A real live-wire, with crackling gooseberry, lemon zest, sea salt and floral notes followed by a long, tangy finish. Superdelicious. Drink now." (07/07) Winemaker Kevin Grant's minimalist approach to winemaking makes him more like a messenger, delivering the gospel of South African terroir. This lively sauvignon blanc is packed like a woman's suitcase with citrus, gooseberry and limestone aromas. In the mouth, the wine is soft and elegant, with lively acidity, rounded edges and flavors of sea air, lemon, grapefruit and limestone. "Best Vintage to Date!" is the quote from a winemaker who seldom speaks in superlatives. With a drought in the beginning of the season, an abundant crop was set in a tight window yet only about half of the crop made it to maturity. A dry, moderate growing season punctuated by a heat wave in August provided intensely flavored fruit. 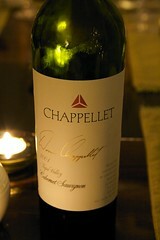 Concentrated aromas of black cherry and boysenberry fruit fill the glass. Nuances of dark chocolate and roasted coffee, along with an element of spice and toast from the oak aging, add depth and richness to the nose. On the palate, the sweet, well-defined fruit is bolstered by full, rich tannins giving enough structure for long term aging. 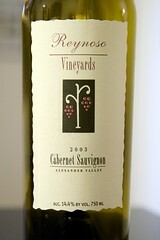 A layer of sweet oak adds spice and complexity while firm acidity gives brightness to the lingering ripe fruit finish. Appearance: Pale golden yellow with remarkable clarity. Persistent streams of fine bubbles. Nose: Delicate with dominant woody notes; hops and mixed spices contrasted with citrus peel blended with fruity fragrances. All pleasantly underlined by hints of mimosa, hyacinth and may blossom. Palate: Prevailing impression of freshness and purity. Cellar Master's comments: "With Brut Extrem' I was looking for as pure a wine as possible. No sugar is added, so the champagne develops in the most natural possible. This is champagne in its natural state. It is the diamond as it leaves the mine." Food pairing: Champagne of the moment, best savoured as an aperitif. It also combines elegantly with oysters, or as an accompaniment to prawns au naturel or sushi. 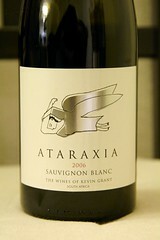 Palate: Firm acidity is surrounded by hints of sweat, tropical fruits and herbaceous notes with hints of citrus sneaking in. A whopping mouthful of Marlborough. 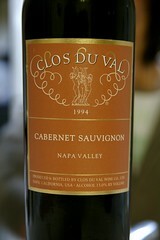 Cellar: This wine will continue to develop for years to come. 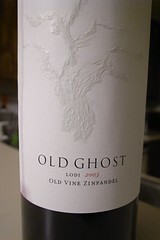 The 2005 vintage was exceptionally generous in many ways. The yields were up a bit from 2004 but more importantly, the weather was nearly perfect for growing exceptional fruit, extending the "hang-time" for the grapes to remain on the vine. Some of our vineyard blocks were harvested during the latter part of October and the quality of the fruit produced was superb, rich in color and flavor profiles. In 2005, we harvested grapes from eleven different vineyard blocks, ranging in age from 35 to 110 years old. Yields were close to three tons per acre with the exception some of the very old vineyards whose miserly yields was less than one ton per acre. Our Klinker Brick 2005 Old Vine Zinfandel may be the very best we have produced to date with full, juicy flavors of cherries and plums coupled with the perfect balance of oak and spice. 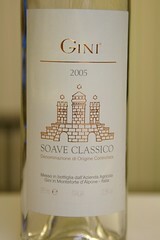 There is a nuance of mint and clove on the nose and a lingering, elegant finish. This wine was aged in American oak for 15 months. Colour: Straw colour with green-gold reflections. Bouquet: Intense and fragrant, like fresh flowers (elder, cherry etc.) and ripe fruit. Flavour: Dry and harmonious, fine and persistent with slight scent of almonds. Once the growing season is over, the fruit is gently crushed into half ton bins, where they undergo a slow, cool fermentation with 2-3 gentle punch downs per day. When fermentation is complete we pump the juice into French barrels, where they finish secondary fermentation and gently age for about 20 months. As with many of our wines, we are inspired by the great wine-growing regions of France, where minimal manipulation allows the elegance of the terroir to be most fully expressed. Ours is a truly classic example of Alexander Valley Cabernet at it's best: bold, but with an understated elegance, informed by the great Cabernet growing regions of Bordeaux. Medium dark garnet in color, this wine displays flavors of dark cherry, cocoa, a hint of dried thyme, and soft, supple tannins. Back in April, you might remember, we introduced you to Nicolo’ d’Afflitto and his estate, the Castel Ruggero. Nicolo d'Afflitto is a Bordeaux-trained enologist who knows the difficulty of growing sangiovese and the benefits of blending in some Bordeaux varieties for color, structure and complexity. 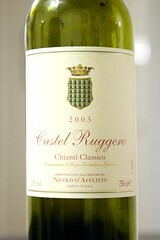 This wine, his 2003 Castel Ruggero Chianti Classico, is a blend of 80% sangiovese with 15% merlot and 5% cabernet franc. 2003, as most of you probably know, was an insufferably hot year; yet with all of the dire predictions for "cooked wines," this wine shows no negative effects of the heat. I really think this wine is tremendous. The nose alone has so much intrigue, spice, nuance and outright boldness, it would be enough for me. In the mouth the wine is vibrant, focused and long with layers of mineral, spice, fruit and touches of herbaceous complexity that make it really powerful. It's like a tightly wound spring that slowly uncoils at it opens in your glass. 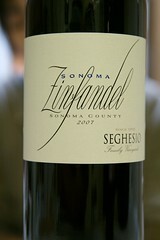 This wine (like most sangiovese) will really benefit from a couple of hours in your decanter. It will age easily for another five years and I would suggest serving it at a temperature slightly cooler than room temperature, 60 to 65 degrees. Having just finished reading about Dario Cecchini, Chianti’s world-famous butcher, I'd have to say you need to eat this with a big T-bone steak. Or, if you don’t do the meat thing, some white beans with fresh olive oil!